Send your clients professional invoices using software that is built for Australian sole traders & businesses. 30 day FREE trial. No credit card. Cancel anytime. 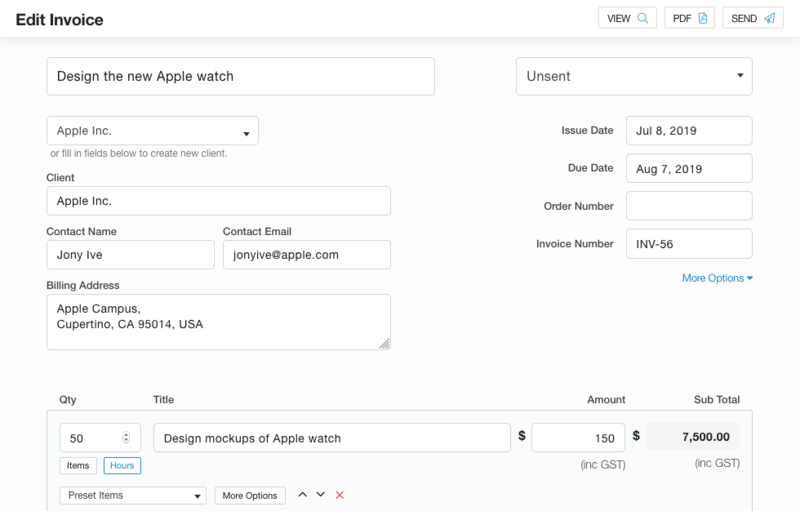 Add a new invoice & fill in the fields you need. You'll spend less time creating invoices with saved clients & your own preset items. 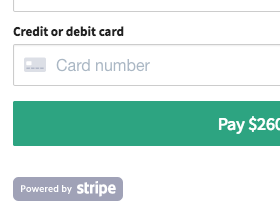 Send your invoice with just a few clicks. 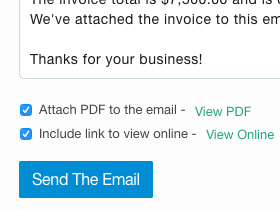 Custom email templates make it easy plus email tracking lets you know when your client has seen your invoice. Your client can easily pay online using their credit card or you can add your own custom payment options such as Bank Transfers or Cheque payments. "Invoicing for projects is so easy, even when I'm out on site. And being able to add my own preset items has saved me a heap of time." Register with your email address. No credit card required. Risk free. 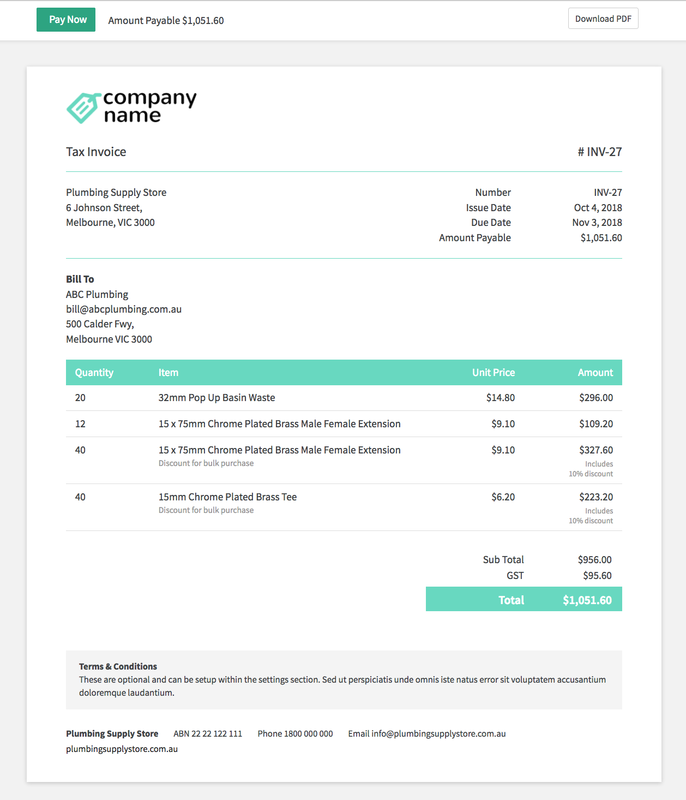 Choose from a range of beatifully designed tax invoice templates. Add your logo, custom colour, custom CSS & more. Quotes & invoices can be easily downloaded by yourself and by your client with the click of a button in PDF format. Send invoices & quotes to your clients with a professional, branded email. You can even see when they view your invoice. Securely accept credit card payments or add offline payment methods to your invoices such as bank transfer. 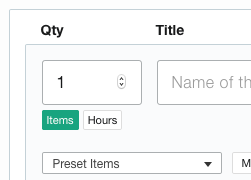 Save as many custom items as you like. They can then be added to any quote or invoice with a single click. Once a client approves your quote, simply click the 'Convert to Invoice' button and hey presto, you have an invoice. See invoices owing, quotes that are outstanding, YTD amounts and who has paid you. All at a glance. No extra apps to download and no software to install. Simple Invoices is 100% web based & works on any device. We are a 100% Australian business, just like yours. Our third-party providers are also Australian businesses. Register with your email address. No credit card required. All features included.